If you like the Windows 10 update that’s currently running on your computer and don’t want the newly released update to automatically install then follow the instructions in this tutorial. Starting from Windows 10, Microsoft has introduced a new policy that will automatically install new Windows 10 updates whether you like it or not. However, there is a way you can stop Windows 10 from installing Anniversary update as well as the upcoming major Creators Update. There is no getting around the fact that Windows Updates are really very important when it comes to ensuring system stability and long-term performance. However, particularly on older computers, new Windows 10 updates with driver updates could overwrite currently installed hardware drivers which may prevent hardware components from working properly. In such cases, you should keep using the current version of Windows 10 update. New updates bring security patches, performance improvements and features to Windows 10. But installing a new major Windows 10 update can also cause more issues than improvements. As mentioned earlier in the post that you can no longer control which update to install and which one to skip from the control panel like in the previous Windows versions. In Windows 10, updates are mandatory for every device. This may not be a bad idea as updated OS version is important to ensure everything works as it should but major Windows 10 updates could also cause issues with the normal functioning of the drivers and features. That’s why it’s recommended that you delay the installation of a new major Windows 10 update initially and wait until the errors and bugs are identified and fixed before installing it on your device. Microsoft acknowledges this fact, therefore, the company offers users different ways to control Windows 10 updates. In this guide, we are going to show you different ways to control Windows 10 update. You can stop Windows 10 from installing major updates like the Anniversary or the new Creators Update by changing the services options to Current Branch for Business (CBB) and then use the Windows Update for Business (WUB) to defer upgrades for a period of 12 months. In Windows 10, you can use Current Branch for Business (CBB) option to block computers from installing Windows 10 Anniversary / Creators Update for up to 4 months. You can use this feature only on Windows 10 Pro, Windows 10 Enterprise, and Windows 10 Education. 1 – Press Windows Key + I keyboard shortcut to open Settings app. 2 – In Settings app, go to Update & security and head over to Windows Update > Advanced options. 3 – Here, make sure that the Defer upgrades option is checked. The steps above are for verifying purposes to see if the defer upgrades settings is enabled on your Windows 10 because this options comes activated by-default on Windows 10 Business, Pro and Enterprise versions. This WUB options allows you to defer the installation of a major Windows 10 update for a longer period than with the previous method. There is this Windows Update for Business (WUB) feature in Windows 10 that enables users to defer major updates for a period of up to 1 year. But, since this option is mainly for organizations, that’s why it can be accessed from the Settings app. You need to use the Group Policy Editor for it. Moreover, only the users of Windows 10 Pro, Enterprise and Education versions can access this feature. 1 – Use Windows key + R keyboard shortcut to open the RUN command. 2 – In the command box, type gpedit.msc and hit enter to open the Local Group Policy Editor. 3 – In the Editor window, navigate to Computer Configuration > Administrative Templates > Windows Components > Windows Update. 4 – Now, in Windows Update locate the Defer Upgrades and Updates settings and double-click on it. 5 – Next, in the settings screen, select the Enabled option. 7 – If you want to defer the update for weeks instead of months, then select from 0 to 4 for weeks. 8 – There’s also Pause Upgrades and Updates option. If you are using Windows 10 on an organization PCs and you wish to delay upgrades and updates, this Pause option allows you to pause future updates for a set number of weeks or months per-device basis. Once set, no further update will be pushed onto the device for which you have enabled the pause option. But this works only up to 5 weeks at most, after which updates will resume automatically. You need to manually enable the Pause option after 5 weeks. 9 – Once done, hit Apple button and then OK to complete the process. The above two methods were for business and enterprise users of Windows 10. So, what about Windows 10 Home users? Well, unfortunately, there is no such update delay option available for the users of Windows 10 Home edition. All latest updates will be automatically pushed and installed on your device whether you like it or not. 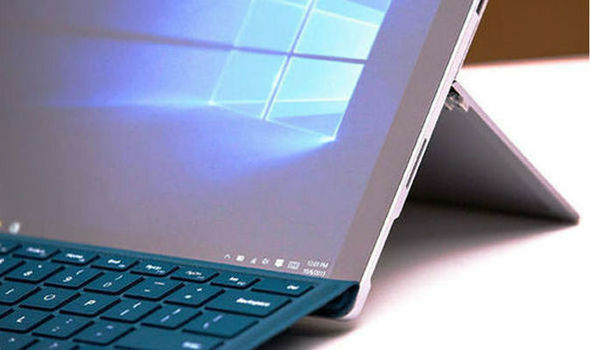 But there is one option that lets the Home edition users to specify a limited internet connection, which when enabled, stops updates from automatically installing on your Windows 10 device. 1 – Go to Settings app on Windows 10 device. Access Settings from Start menu or press Windows Key + I keyboard shortcut to open Settings. 2 – Next, click on Wi-Fi. 3 – Then, click on Advanced options link. 4 – Here, under Metered connection, make sure Set as metered connection option is enabled. Only thing to remember in this case is that the feature works only when the device is connected to a WiFi network. Metered connection option isn’t available for Ethernet adapters, so those of you who are using wired internet connection are out of luck. Also, note that the methods above will block all sorts of latest Windows 10 updates, which can leave your device vulnerable to latest security threats and bugs, so be mindful of that. On the other hand, it can also free you from the hassle of fixes bugs and errors that mostly accompany major Windows updates. We strongly suggest that you update your Windows 10 device to the latest Anniversary or Creators Update as soon as its released because this way you will be protecting your computer against latest threats to data security and device stability. Also, note that you can only defer updates on Windows 10, Microsoft doesn’t allow you to skip latest updates anymore. For further help, send in your queries in the comments section below.